Slim 180mm LED-Downlight / LED-Mini Panel in a white a aluminium body. 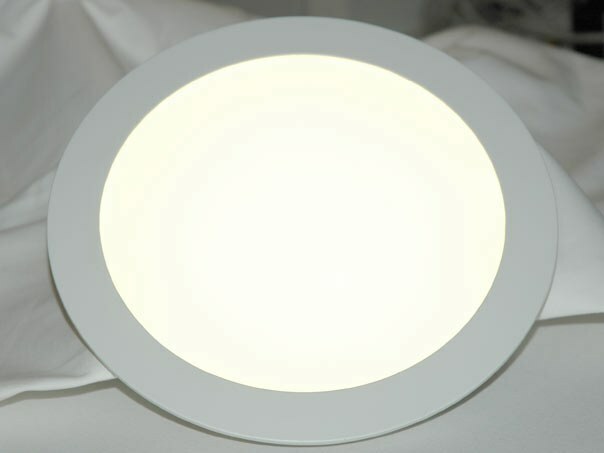 Available with 3000Kelvin (warmwhite), 4500K (neutral wite) or 6000Kelvin and either as standard version or with a dimmable LED-driver. Ideal for the replacement of old lighting systems and recessed lighting such as compact fluorescent lamps in offices, foyers and retail shops. It is equipped with quality SAMSUNG LEDs and can be shipped either as standard or dimmable version. It only 15W power to create 1050 lumen luminous flux.
? outer diameter: 180mm for hole sizes of 160mm diameter. ?1050 lumen luminous flux at 6000 Kelvin. With a light output of very good light output of 70 Lm/watt. 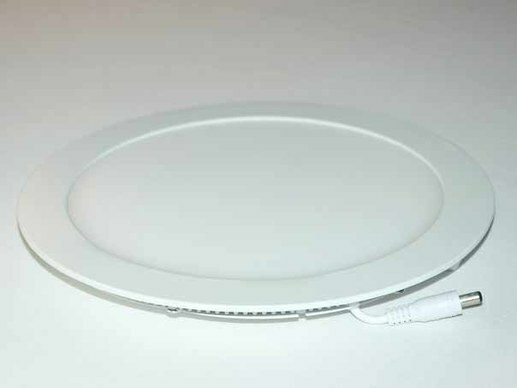 You have questions about our LED-Downlight replacement solutions for existing lamps? You need to have information about other models and options? We will help you! Preferably personally ! Please contact us at the phone number : 0049-0221-9924573 during normal office hours or mobile . You can contact us by e -mail or fax request. We also call you back . 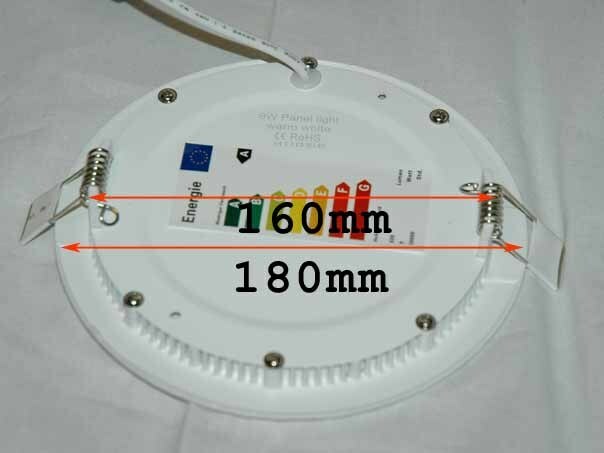 In commercial buildings, LED downlights are usually used in hallways, corridors and entrance areas. In addition to a decorative effect LED recessed lights are also suitable for the workplace. Because of more stringent rules on the task lighting, not every LED down light is suited for the workplace. In most cases, LED lights are mounted in the ceiling. LED lights can replace the existing compact fluorescent lamps or halogen lamps while realizing savings of between 40 and 70 % power. Companies still want to save some more, work with motion sensors or install a daylight-dependent lighting control. There, light sensors are installed, making it possible to dim the LED downlights depending on the daylight and to save more power.